With so many beauty products on the market, it can be difficult to know which ones are best for us. But usually a product that is bought every few seconds, with hundreds of positive reviews, can’t be anything but great, right? The Body Shop have recently revealed that their iconic facial oil Drops of Youth™ concentrate is one of their bestsellers – with one bottle of the stuff being sold every 23 seconds. That’s three times every minute! Their gel-like serum is a popular anti-ageing product, and is infused with three plant cells; edelweiss, criste marine and sea holly, to help your skin feel smoother and super-hydrated. 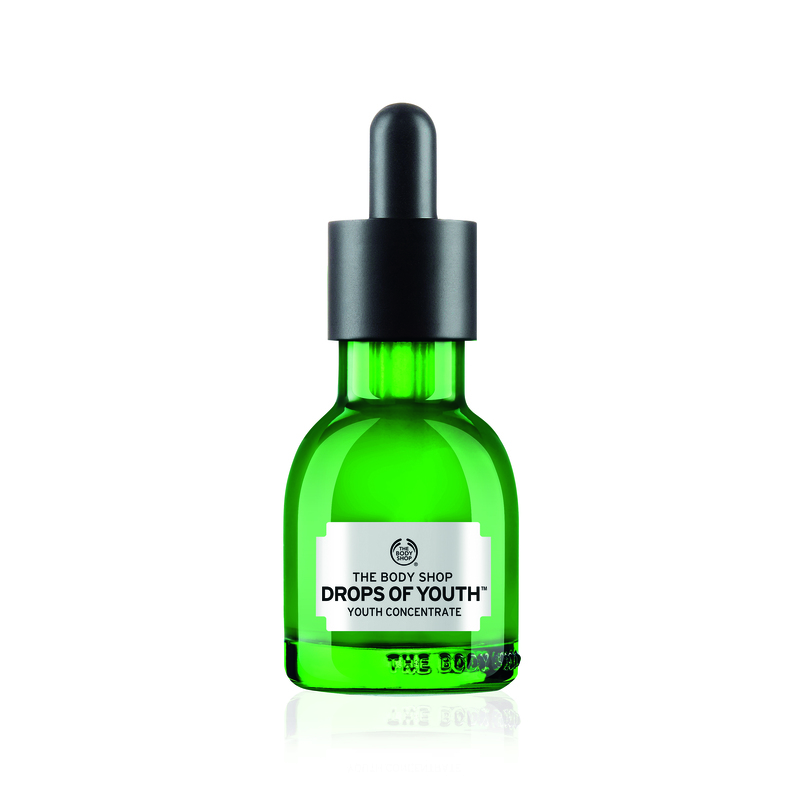 However, that’s nothing we haven’t heard before – so we thought it would be a good idea to take a look at reviews from customers, to see how they liked the Drops Of Youth concentrate. And it seems that it has plenty of fans, winning almost all five star reviews on the Body Shop website. If that weren’t enough to convince you, The Body Shop is also offering 25% off many of their products at the moment too – meaning this £26 serum could be yours for only £21.99 now. You can buy it here. But if serums aren’t your thing, never fear. 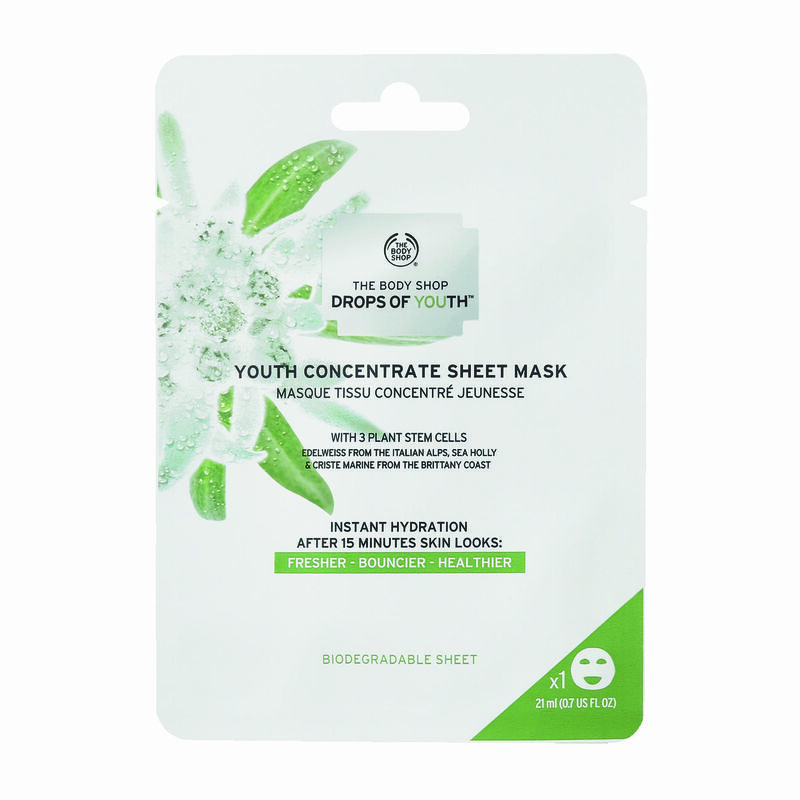 The Body Shop have also just launched a new Drops of Youth™ Sheet Mask, which is infused with the same concentrate as the facial oil. The sheet mask is on sale for just £5, and will give you a targeted shot of skin goodness if you want your skin look refreshed and hydrated. But one of the best parts is that the mask is actually full biodegradable, meaning it will disintegrate in just a month. Perfect for those who are concerned about their effect on the environment.